6th London (The “Cast Iron Sixth) arrived in France in March 1915 as part of 4 Brigade, 2nd London Division, soon to be renamed 140 Brigade, 47th Division. On 19th April they went into the trenches for the first time at Givenchy and on 4th May they took over the line facing Festubert. They were out of the line when the Battle of Festubert began on 15th May, 1915 but on the next day they moved up to a line of support trenches where they remained for four days providing working parties, mainly building breastworks near the shell swept Willow Road to form a defensive flank. They suffered many casualties here, doing this dangerous work and it was almost a sense of relief when they moved into the front line on 20th May. 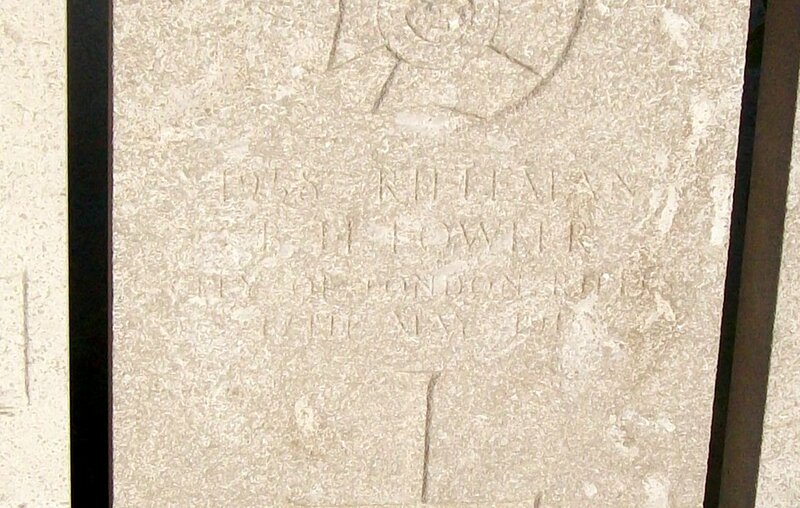 Bertram Fowler died of wounds on 17th May and he was likely to have been one of the many wounded during this period in the line.